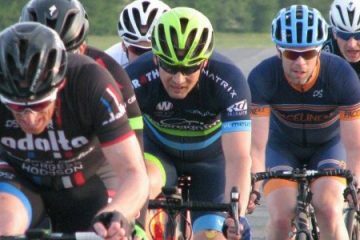 Sunday 17th March witnessed the start of the 2019 Surrey League racing season with Brighton Mitre promoting 2 events on the popular Kirdford circuit. The previous days weather (gales and wet conditions) looked as if it would stretch into Sunday, but thankfully, overnight the weather had calmed down considerably leaving a dry, yet chilly, start to the morning. At race HQ (Loxwood North Hall), riders were turning up pretty early all eager to sign on and prep themselves for their morning race. As always, it was a bit hectic at sign-on with the credited marshalls, helpers, BC officials, riders, and the promoters all busy sorting their stuff out. In the meantime, Glyn and I sat on the stage handing out race licenses and the membership packs, which we intend doing for the next 3 of 4 events. After a few words from Glyn, regarding the late Keith Butler, and the race Comm, the riders left the hall all to line up outside waiting for the lead cars to pull away starting the race. The race rolled out of the HQ into a neutralised section of about 2 miles, but once the convoy had turned right onto the circuit, racing began. Straight away the pace quickened with various riders up front forcing the issue which did cause a small tumble midway through the bunch as riders shuffled into position. Eventually, 2 riders snapped the elastic breaking free coming up the finish climb for the first time (seeing 6 laps to go). 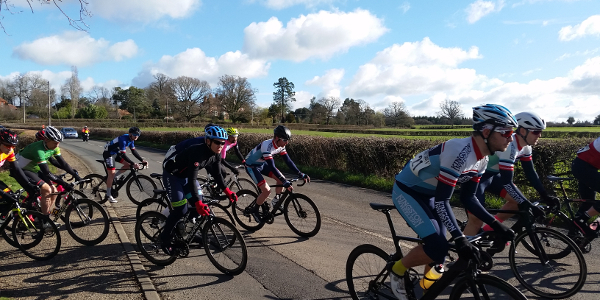 The two leading riders, Thomas Perren (Paceline RT) and Shaun King (Kingston Wheelers), quickly gained a gap working very well together and with 5 laps to go had a time gap of around 40s. Still working solidly together throughout the next lap, they had increased their advantage to 2m15s. Clearly, both riders looked very comfortable together, and strong, sharing their workload evenly and with the help from their fellow teammates, increased the duo’s chances of staying away until the end. With 3 laps to go, the leading duo still was in a commanding position but had two chases behind trying to bridge the gap (Richard Bruce (VC Meudon) and Simon Mumme (Paceline RT). Also, a crash in the village of Kirdford took out a number of riders and caused splits at the rear which many could not recover from. 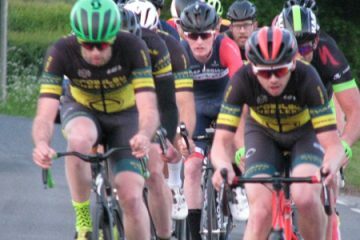 With Kingston Wheelers riders placing themselves at the head of the bunch, or near the front, proved to be decisive team tactics as come the last lap, Thomas was no longer with his leading partner Shaun anymore. With a lap to go, Shaun needed all the help he could get if he wanted to claim the victory. Back to Thomas and when the two chasers crossed the line, then the bunch, everybody at the finish wondered where he was. Moments later he rolled over the line moments looking exhausted. Thomas had worked hard averaging 290W for 75km whilst with his breakaway companion, but simply ran out of steam and blew. Shame as he only had 10 or so miles to go, but his body would give him no more power forcing him to stop at the line with a lap to go. This left the Shaun out on his own for the last lap, but with the bunch ramping their speed up it was going to be a close call whether he would finish alone, with the two chasers behind, or in the bunch. Come to the finish Shaun had done it crossing the line 1st to take the win. A super ride and win taking the race head-on from the start. Less than a minute later Richard (VC Meudon) crossed the line for 2nd with Simon taking 3rd for Paceline RT. The bunch crossed the line sometime later with Tom King (Bigfoot CC) taking the bunch sprint for 4th. The video above shows 2nd place onwards. Like the morning race the afternoon event was greeted with dry weather, but with a steady wind that had picked during the morning meant the riders could face a tough time on parts of the course. Not quite a full field for this race, but once the convoy left the HQ and joined the circuit, racing was brisk from the outset. With 71 miles to cover, which equated to 7 and a bit laps, the riders had a long day in the saddle. It wasn’t soon before a group chipped off the front gaining momentum quickly to around 30 seconds, but the bunch kept them in check by not allowing them much of a time gap. The three riders in question were: Jamie Wimborne (Cycle Team OnForm), Thomas Whatley (Paceline RT), and Alex Cross (VC Meudon-Pedal Heaven-LeCol RT). This trio of riders stayed out in front for around 3.5 laps before being reeled in by the bunch. 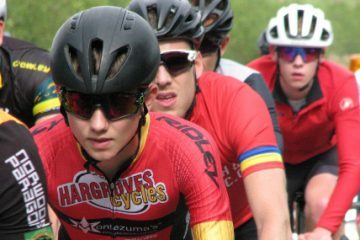 Coming out of Kirdford, and before being completely reabsorbed, they were joined by 5 other riders including the only woman rider, Jessica Finney (Brother UK – Tifosi). This group didn’t get much room to grow and was quickly brought back, but soon the whole race was to stop. The comm decided to stop the race and explain to riders that these narrow roads are not fully closed and to keep left at all times. 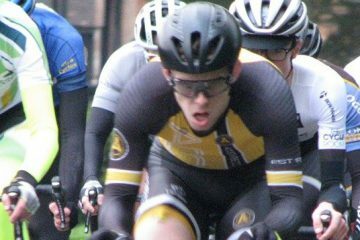 Once the race got on the way, Jamie Wimborne decided to venture off the front yet again. This caused the bunch to react and chase (as video shows) – with the bunch lined out going down the drag to Kirdford. With 2 laps to go a new break of 5 had formed pulling out a slender lead of 20s, but by the time these guys got to the bell lap, the group was now 4. 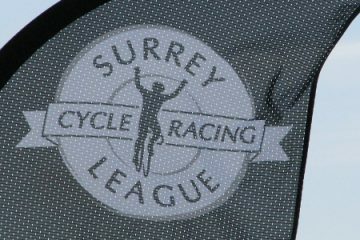 The riders included the very active Jamie Wimborne (Cycle Team OnForm), George Skinner (PM), James Bonham (Southdown Bikes CASCO pet RC), and Kevin Nelson (Crawley Wheelers). These guys now had a lead of 58s and were followed by a group of 3 (Mark Aldred (Kingston Wheelers), Thomas Whatley (Paceline RT), and Oliver Fenton (Southdown Bikes CASCO pet RT). 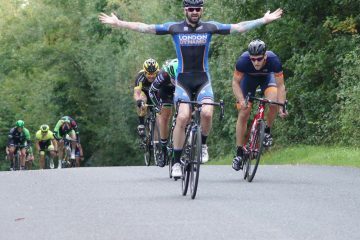 In the end, George Skinner took the win from James Bonham (2nd) with Kevin Nelson following 5s later for 3rd. Jamie Wimborne ended his active race cruising across the line for 4th. 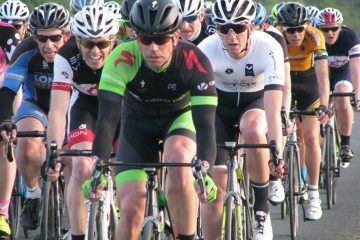 Linton van Zyl (Kingston Wheelers) brought home the remaining riders to end a super day of racing. 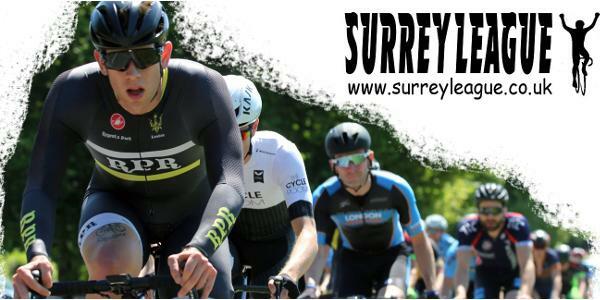 The video of this leading group of 4 finishing can be found on the Surrey League YouTube site as well as all other videos shown on this email.